HC Providers/Oral Health | Scott & Co.
We work with many for profit and philanthropic healthcare providers including healthcare systems (AMCs, IDNs, and smaller community systems), specialty providers, and FQHC/ community health centers on new business opportunities. Worked with NJ system to determine primary care strategy including assessment of clinic, financials, downstream revenues, FQHC options, community partnerships. Engaged senior team in interviews and workshops. Worked with top tier AMC to create a digital patient engagement strategy including website redesign; use of other platforms; engaged board, senior executives and the digital marketing team. Created a Philanthropy Strategy for a community hospital system, helping them to focus resources on the highest value efforts for a capital campaign and ongoing fundraising. Created and delivered a program for Innovation Leaders at Safety Net Hospitals and Clinics on how to quickly assess the business potential of innovations by considering economic, care and workflow benefits and costs. This project was led by the Center For Care Innovations and supported by the California Healthcare Foundation. Created a brand playbook for a health system to ensure strong, consistent consumer messaging across new primary care strategy (patient acquisition and provider utilization). Tele-Dermatology: Feasibility, Business Plan and Funding options. Worked closely with the founder Dr David Wong to determine overall viability, and to create a business and marketing plan for DirectDermatology.com, providers of convenient access to immediate tele-dermatology consultative services . Developed new Business for Specialty Provider under Health Reform: Investigated and developed a new pharmacy benefits management business opportunity. Created a complex financial model to value the business under different product offerings and market scenarios. Assessed the impact of health reform on the AMC, IDN, CBH, ASC environments; developed workshops, board presentations, strategy planning sessions for providers to guide teams on their most relevant marketplace changes, to create market responses. Hospital Board Workshop – New Service Line Development. Created an agenda on innovation; delivered presentations how to identify and assess new business lines for an integrated healthcare system. GI Strategy – Forecasting the Technology and Case Mix, Economics: Forecasted the 2-5 year impact of technologies, changing populations, reimbursement, and operational impact on the case mix, finances, operations, capital, and staff. Considered the impact of the shift of colonoscopy screenings to virtual screenings and other emerging competing technologies. For a Major Pacific Northwest Provider System, led an initiative to create funding for a workforce development program to address chronic disease. Created a strategy, business plan; researched the health and economic impact of this new workforce. 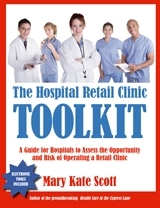 Evaluated the impact of establishing retail clinics for a large system – including the economic and operational impact on their Emergency Department, their physician group and their marketing program. 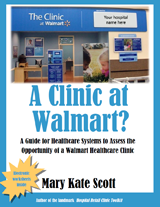 Worked with the CEO and the Board to co-create the right solution for their patients and community. Brand turnaround strategy: Worked with a cross functional US-Global team to create new product strategies, brand direction, digital programs, sales revitalization, and contracting strategies for a cardiovascular brand. 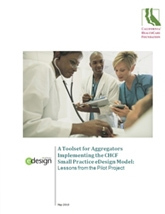 Created a Toolset for Implementing EHRs at Independent Physician Practices: In conjunction with a team of advisers at CHCF, helped develop the Small Practice eDesign model to help revitalize small medical practices and their patient outcomes. This toolset enables small practices to adopt and meaningfully use EHRs. Consumer Strategy for Outpatient Surgery Center: Conducted workshop on consumer engagement opportunities for an outpatient facility focused on orthopedics, GI, OB/GYN, pain, dermatology. Reviewed retail clinics, medical/wellness spas, communications campaigns, role of fund raising, and retail leasing in financial and operational plans. 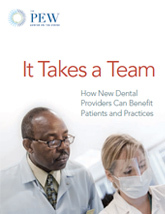 Dental Practice Efficiencies: Created a guide to operating an efficient practice, including creating a strategic plan; achieving an appropriate reimbursement and payer mix; smooth patient flow; optimal staffing pattern; business systems; and new technologies. A podcast audio report augments the guide. 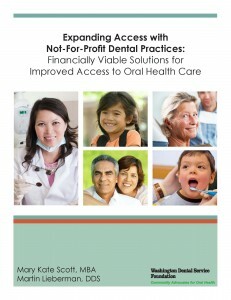 The Good Practice: Treating Underserved Dental Patients While Staying Afloat, August 2008, California HealthCare Foundation.